There were 56.5 million Hispanics in the United States in 2015, comprising 17.6% of the total U.S. population. 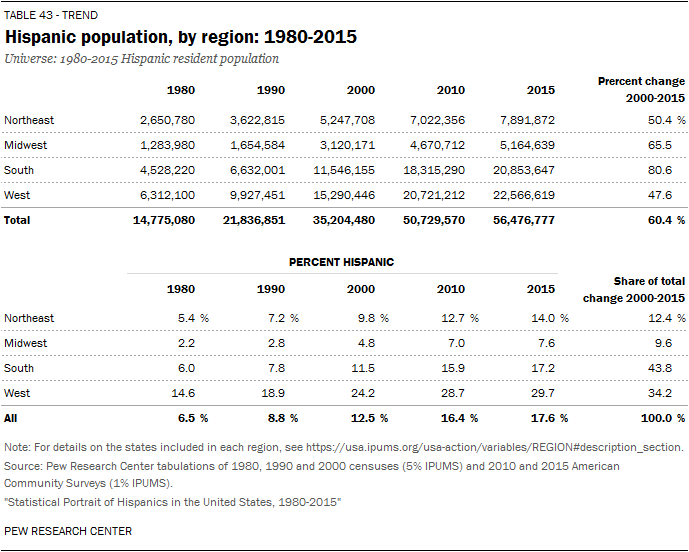 In 1980, with a population of 14.8 million, Hispanics made up just 6.5% of the total U.S. population. Click on the expand buttons below the summary tables to see detailed tables for each. 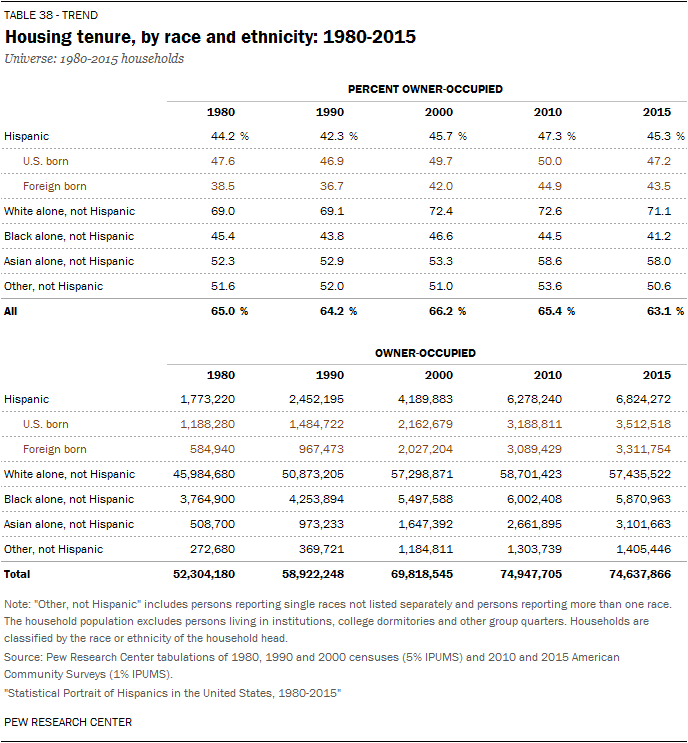 Click here for a PDF of all the tables below and read the accompanying blog post, “How the U.S. Hispanic population is changing.” Download the Excel workbook. For a profile of the foreign-born population in the United States, click here. Source: Pew Research Center tabulations of 1960, 1970, 1980, 1990 and 2000 censuses and 2010 and 2015 American Community Surveys (IPUMS). Total foreign-born population estimates for 1960-2000 shown here may differ from other reported estimates since they are based on IPUMS data files (1% samples in 1960 and 1970 and 5% samples in 1980, 1990 and 2000), and are not based on U.S. Census Bureau population estimates.